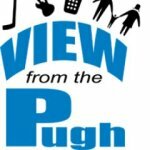 On Thursday’s show, we talk about our stories and how you can support View From The Pugh. Here is more information about supporting the show. Support View From The Pugh by doing your Amazon shopping here.